By now you bloggers and YouTubers are probably growing weary of the Christmas ornament challenge. We did our share by turning a snowperson on the lathe. After looking at all the YouTube entries up to now, I am totally impressed by the creativity and talent that has gone into these. From Sam the Wyoming Wood Turner’s beautiful inlaid globe with magnetic attachments to Mitch Peacock’s Incense smoking snowman to Mike Waldt’s snowman or Christmas man, as he called it for a while, with a red proboscis! 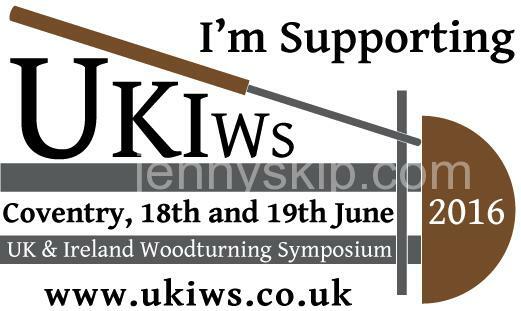 By the way, some woodturners across the pond are cranking up a wood turning symposium! This is fantastic! I know how much trouble it is for my wife and me to host our 10 kids, spouses and 17 grandchildren for Christmas…. But a symposium for the British Isles and Irish …….. I regress…. Anyway we wanted to make another project for the holiday season, so I proceeded to draw (my 1 year grandson could have probably done better) a Christmas tree flanked by candles, with a star topper and a banner at the bottom to date the drawing, using Microsoft Word. You can see from the photos below that this was crude at best, but after all, Grandma Moses got away with primitive art work! I saved the “artwork” with Word in an XPS document format, loaded it into the Retina Full Spectrum software and cut out what was to be a tray puzzle featuring the tree. I used 1/8 inch Baltic birch plywood with a laser power setting of 100% and a speed of 100. My laser is a 40 watt laser. 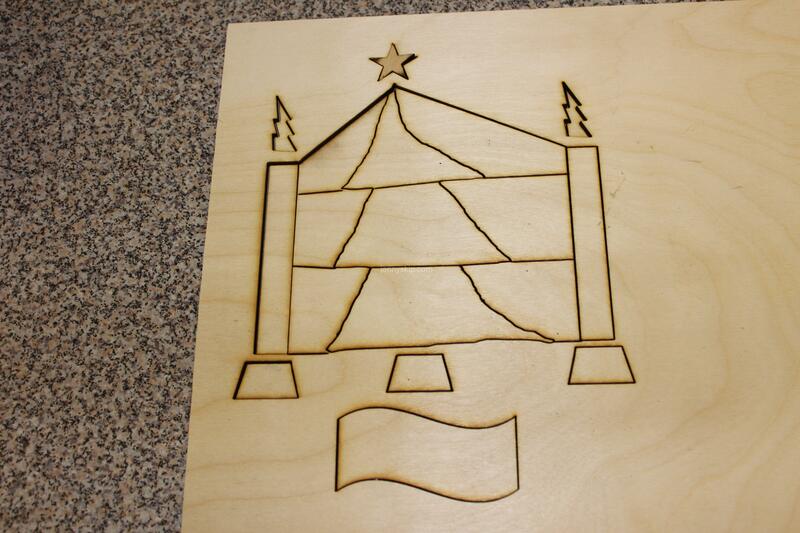 As a side note, someone on the laser forum asked if this laser could cut paper. Ummmmm…I could see an experiment formulating! I took a stack of 8 sheets of standard weight copy machine paper and placed it in the laser. I grabbed my fire extinguisher, and with the laser still set at 100%, “fired” off the laser. I let it cut out the flame over one of the puzzle candles (an interesting choice for the graphic) before turning the laser off. The top sheet of paper was cut neatly with a little brown around the edges, but by the time I got to sheet eight there was nothing but ash. So I set the power at 20% and left the speed at 100. This time I let it cut out more of the puzzle image. When I stopped the laser, I wasn’t even sure it had cut the paper. There was a faint black line outlining the image. On close inspection, I found that the laser had cut through the top sheet of paper as if it had been cut with a razor! The second sheet was partly cut, and the third sheet only had what appeared to be a printed image. None of the other pages were affected. Once the puzzle was cut and sanded, my wife applied her artistic skills and turned a disaster into a beautiful Christmas tree scene with presents and all! 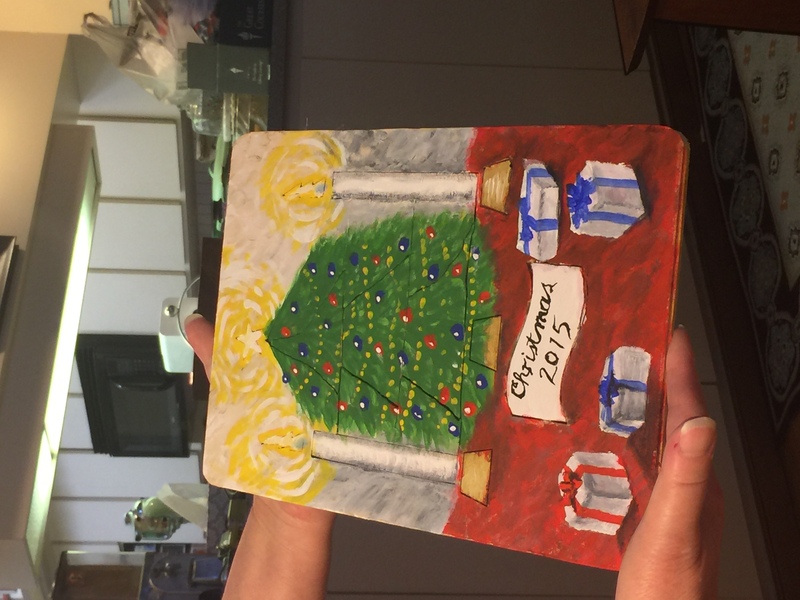 The tree that my wife depicted on the tray puzzle represents a modern-day American Christmas tree. The history of the tree as a symbol goes back to the time of the Egyptians, but the evergreen tree really only became a Christmas symbol in the 15th or 16th century. It was introduced into American culture in the 18th century. Google history of the Christmas tree for some very interesting history of this tradition. What does the use of a tree symbolize? Why an evergreen tree? What does the triangular shape of the tree symbolize? What does the star tree topper symbolize? Why put presents under the tree? What are the symbols of other winter holidays, such as the menorah of Hanukkah and the kinara of Kwanzaa? I’ve spent a lot of time playing with laser cutters in architecture school. The accuracy is fantastic, but getting the settings just right can be maddening!